My work tools are the most important thing to me and I am so particular about what I use on my clients. I am also a creature of habit, why change something if your happy, right? I was on a shoot recently with a fellow MUA and we spent about an hour going through each others kits. It's great to hear what other MUA's love and what they feel is essential in their kit. And it was there that I picked up a NIMA Brush for the first time. And ohhh I fell in love.. I did a little research and the girls at Nima Brush kindly send me my very own set to try out. Nima Brush specialise in brushes which are manufactured using the most natural fibres and strongest brush ferrules. They are super stylish, (check out the gorgeous duck egg blue colour) and so reasonable. Best of all, they are Irish and I love supporting Irish products. 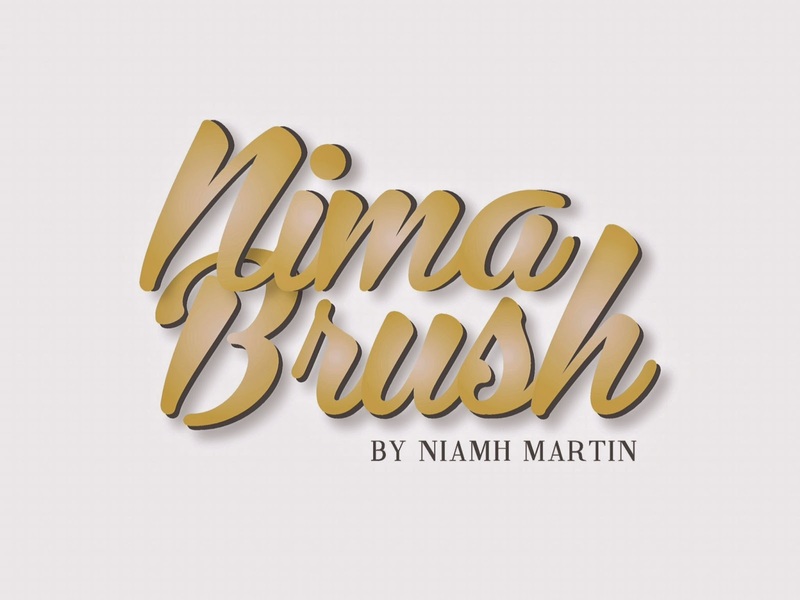 Nima Brushes are the creation of leading makeup artist Niamh Martin. Niamh worked for some cosmetic brush brands and after years of supplying collages and professionals it came to a stage where she wanted something to call her own. 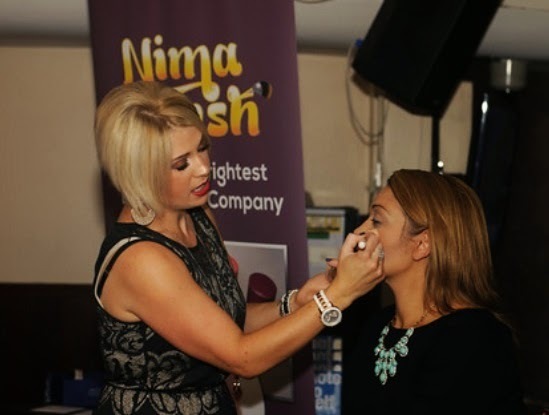 With the support and backup of a fantastic family, Nima Brush was born! Her aim is to provide fun, professional tools at a low cost. 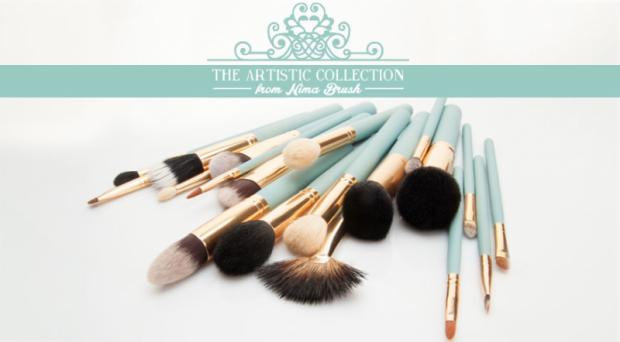 The brushes come in three ranges - The Starter Collection (for beginners looking to invest in good quality brushes), The Elite Collection (individual brushes to suit any budget, also contains their best seller Kabuki brush) and The Artistic Collection (premium quality range of brushes). There are a massive range of individual brushes in each range that you can pick & choose from. Here are some of the brushes and it will also give you an idea of price. Angled Kabuki - €18 - Taklon Synthetic. Use to apply blush to the cheekbones. bronzer to the raised areas of the face, or shader to the hollows of the cheekbones. Domed Kabuki - €18 - Taklon Synthetic. Use this brush to shade under the cheekbones or add depth to an area. Can be used also to apply blusher to the cheekbones. The Stephanie - €10 - Synthetic Silicone. Pointed eyeliner brush. Use for creating defined eyeliner looks. The Ollie - €10 - Sable Hair. Smudge brush. This brush is used to create the perfect smokey eye look. Use to work under the lower lash line. The Debs - €12 - Goat Hair. Used for eye makeup - crease blender. A crease blender finely tapered at the tip to get right into the contours of the eye and effortlessly soften shadow seamlessly. You can order these brushes online HERE - go on try them.. bet you'll love them too!